inversecondemnation.com: The Latest Takings Decision From The Federal Circuit On Railway "Rights Of Way"
For you rails-to-trails fans, here's the latest from the Federal Circuit. In Biery v . United States, No. 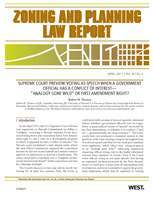 13-5082 (June 2, 2014), the court held that interests which certain Kansas property owners conveyed to railroads back in the day were grants in fee simple, and some were grants of an easement. The issue was dispositive because if the grants were in fee simple, then when the railroad abandoned railroad operations, the land could be converted to public recreational trail use without triggering a taking, but if the grants were easements, then upon abandonment, the owners should have got the land back, and are owed compensation. As noted, in 2004, the stretch of rail corridor at issue was converted to a public trail pursuant to the Trails Act. If, prior to the conversion, the BNSF held fee-simple title to the land underlying the corridor, then, for their part, plaintiffs-appellants possess no compensable property interests. That is because the railroad’s fee-simple title would constitute complete ownership in the land. Tiffany Real Prop. § 27 (3d ed. 2013). If, however, the BNSF held only easements over the land, then plaintiffs-appellants retained a fee-simple interest in the land. Under those circumstances, if the BNSF’s conversion of the railroad tracks to a recreational trail was outside the scope of the easements and thus constituted abandonment, then the BNSF would have lost its interest because “if the beneficiary of [an] easement abandons it, the easement disappears, and the landowner resumes his full and unencumbered interest in the land.” Marvin M. Brandt Revocable Trust v. United States, 134 S. Ct. 1257, 1265 (2014) (citing Smith v. Townsend, 148 U.S. 490, 499 (1893)). In short, if plaintiffs-appellants hold fee-simple title to the land, they may potentially have a compensable property interest for purposes of a takings claim. 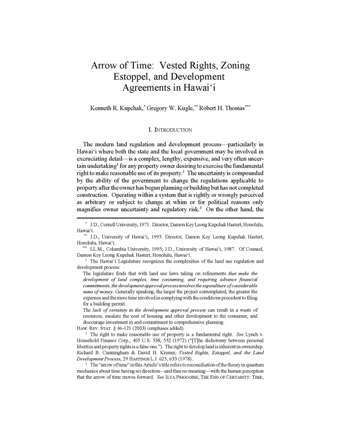 Applying Kansas property law, the court concluded that some of the owners granted easements, some granted the railroad fee simple title, while for others, the record was not developed enough to tell. Thus, some owners go back to the CFC for compensation, some go back to the CFC for more record-building, and some get shown the door. Overall, an interesting decision on the history and real property law front, but not much there on the takings issues (yet). Was public railroaded in trail deal?